If anyone knows a thing or two about pregnancy foot pain, it’s Dr. Nadia Levy, a pregnant foot doctor working at The Center for Podiatric Care and Sports Medicine in New York City. She’s on her feet all day long, which can bring about swelling and chronic pain for anyone — but especially pregnant women. In this article, Dr. Levy covers five key areas for coping with the aches and pains of the feet during these nine special months. “Compression stockings are a life saver for foot and ankle swelling in the later months,” says Dr. Levy. The compression stockings work by squeezing to mimic the pumping action of the leg muscles as a person walks. Normally, the muscles contract near the leg veins to force blood upward to the heart; but in cases of edema, poor circulation, or sudden weight gain, the body may not be as efficient at pumping fluid — which causes the swelling. Not only will compression stockings help with the swelling, but they can also reduce the risk of Venous Thromboembolism (VTE) and reduce the risk of developing varicose veins. 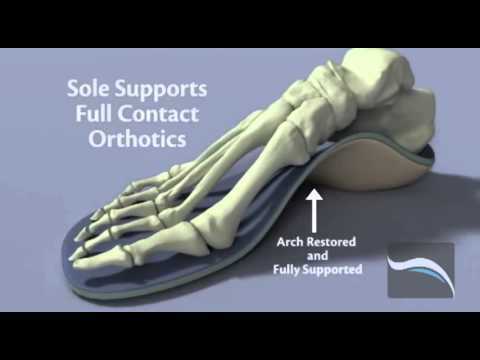 If every there were a time to wear custom doctor-fitted orthotic inserts, it is now, advises Dr. Levy. “Whatever faulty biomechanics you may have will be highlighted by the changes in hormone levels — not to mention the extra 30+ pounds you will gain,” she says. Often, one will hear that a woman’s foot size changes during pregnancy — a change that may remain permanent — due to the loosening and stretching of ligaments throughout the body. The feet are less likely to change if they are well-supported during the pregnancy. Commonly, women suffer from over-pronation (flat feet) during pregnancy, as added weight causes the feet to roll inward while walking. This sudden stress can cause inflammation of the plantar fascia over time, which creates a chronic heel pain called plantar fasciitis. Custom-molded shoe inserts to fit the feet’s natural conformation keeps the foot aligned while walking to distribute weight more evenly and prevent pregnancy foot pain. “Sometimes it’s a matter of slowing down and understanding that life is a little different now,” Dr. Levy says. A few basic lifestyle changes can have a very powerful effect, without costing a dime. It’s time to give those heels a rest in favor of flats, which look better with those yoga pants, anyway! Flimsy flip-flops need to take a rest now as well, since arch support is crucial for keeping pregnancy foot pain at bay. To reduce swelling, one should prop a few pillows under the feet to elevate them as much as possible. Applying ice with a towel for 20 minutes can help with inflammation.